The Norfolk Southern Locomotive Directory 2016-2017 from Withers Publishing is a must-have for all modelers and fans of the Class I railroad giant. 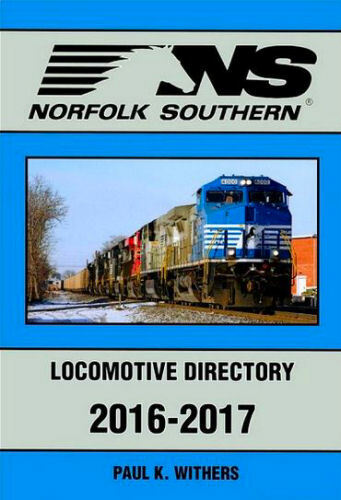 This all-color book by noted diesel historian Paul K. Withers is your best source of the most up-to-date listing on Norfolk Southern power. There are over 4,000 locomotives in the Norfolk Southern fleet. This latest roster book will help the reader keep up with all of the changes including new power, retired power and other details. All photographs thoughout the book are in color. Soft cover.